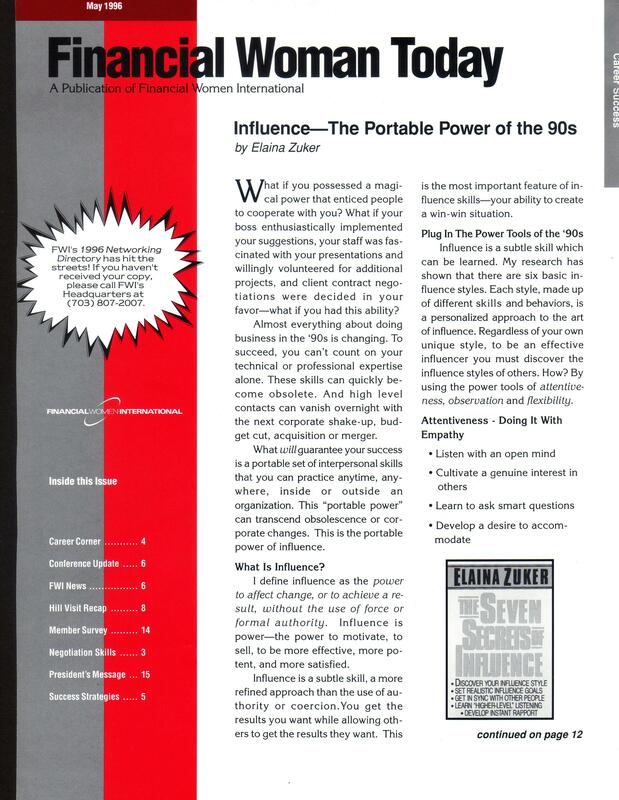 The objective of this campaign was to place articles bylined by Elaina Zuker, based on her best-selling book The Seven Secrets of Influence. 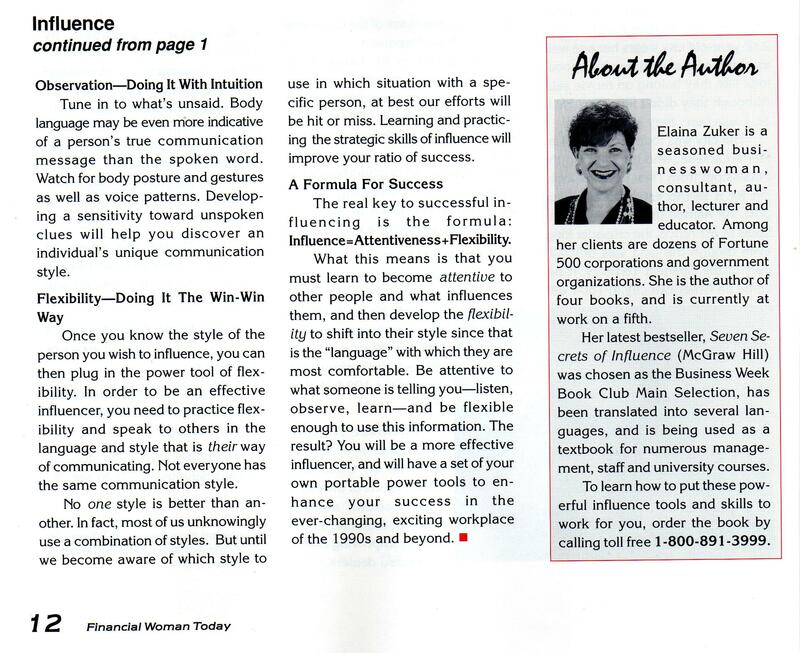 The articles, including this one published in Financial Woman Today, were ghostwritten by Phyllis and pitched to national and regional business publications, as well as to wire services and syndicated business columnists. We excluded book reviewers but if the editor wished to review the book, we sent a copy. We also offered an interview with the author. Our ultimate goal was for the article to motivate readers to purchase the book. For this reason we requested that the author’s attribution always include the contact info.